Try our new, secure online ordering system. You can now relax at home and order your favourite, freshly prepared meals from The Original Dil Raj Tandoori Restaurant & Takeaway, online. You can even pay online! 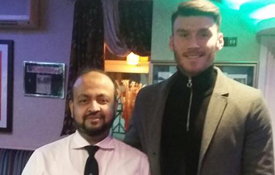 As one of Barnsley’s finest indian restaurants, we have a long reputation for the very best in hospitality and authentic indian cuisine. Whether you are after an intimate meal for two, a group booking for a party, or even a full-blown wedding reception, our fully air-conditioned restaurant can accomodate all, with its spacious floor-plan and many cosy alcoves. 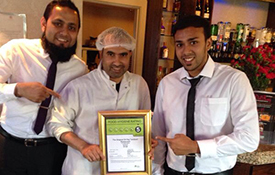 Dil Raj offers a unique dining experience for locals and visitors alike. Situated in the heart of Dodworth in Barnsley with its own car park. 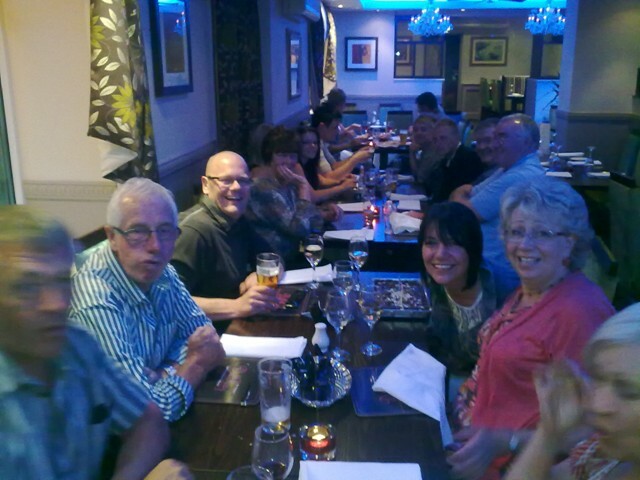 We are fully licensed with a wide range of authentic indian dishes including duck dishes. 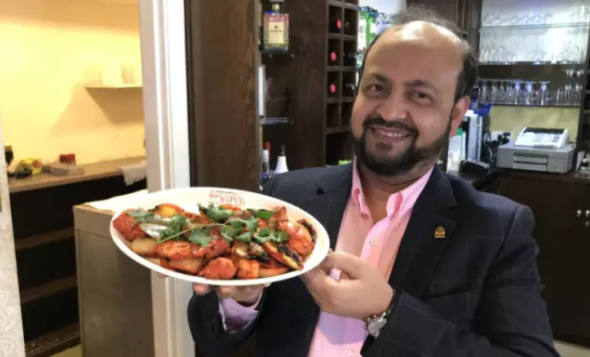 Dil Raj had assembled a menu that is far beyond what may be considered traditional indian cuisine. With attention to health and diet our dishes don’t use heavy oils, creams or spices, but instead rely on the authentic flavours of the dish. We welcome your visit and hope to see you soon. Please feel free to make a reservation. 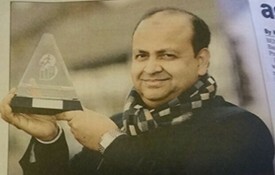 Dil Raj have been awarded two highly acclaimed awards – Best Restaurant and Best Chef of the Year for Yorkshire & Humberside. 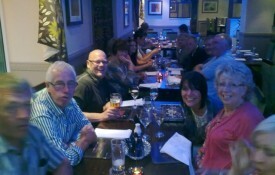 Follow our Barnsley Chronicle Journey here. 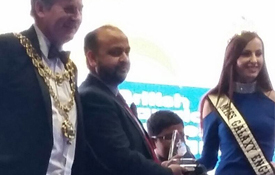 Over the years Dil Raj has been privileged to have received some fantastic reviews and a number of awards. 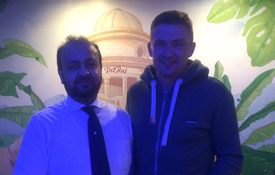 Delighted to welcome Tykes Manager Paul Heckingbottom to the Original DilRaj! 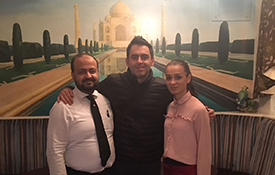 Delighted to welcome Ronnie O’Sullivan, one of the greatest players in the sports history! 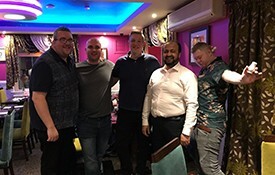 Barnsley FC enjoying Dil Raj!.